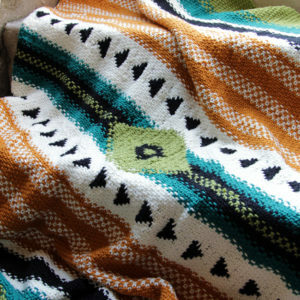 Ruby Stole – New Design in I Like Knitting Magazine! New pattern alert! The June issue of I Like Knitting magazine hit digital newsstands last week, and I’m excited to share a peek at my humble contribution. Tasked with designing a garment inspired by birthstones, I was excited to develop a custom motif that looks like pear-shaped rubies. Using a combination of easy increases and decreases, short rows, twisted stitches and more, you’ll be able to knit an elegant finished piece with this pattern. 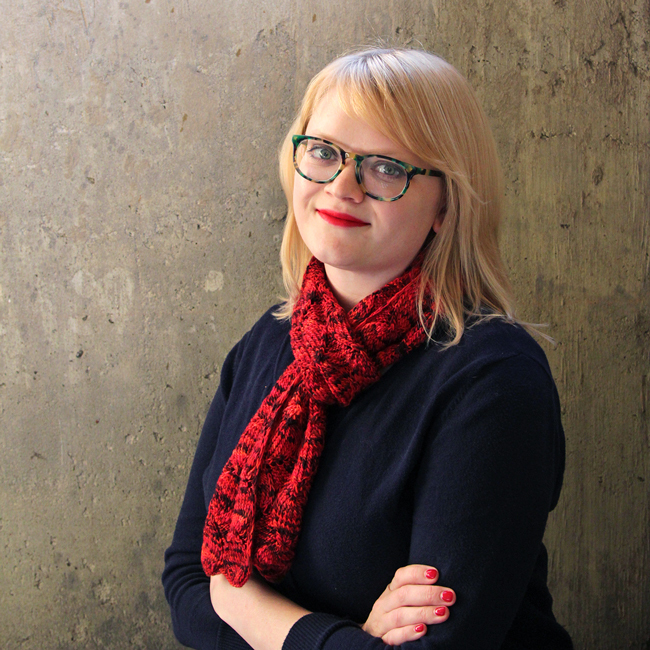 The Ruby Stole feels at home as an everyday scarf, but it transitions easily into more formal evening attire. 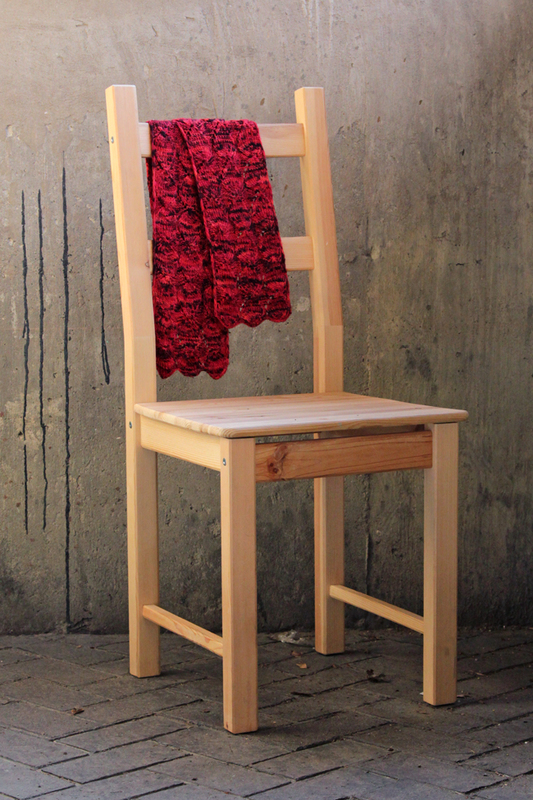 The Ruby Stole is available exclusively in I Like Knitting magazine, and it’s so fun to make! This design includes an accompanying video class on how to work the (if I say so myself) super elegant ruby design featured throughout the body of the stole. The magazine’s Editors brought me in to teach the video class myself, which was a fun way to ensure the pattern is as clear as possible for you to knit. 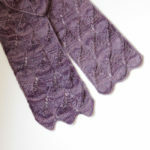 The Ruby Stole is a great way to master simple short rows, twisted stitches, and basic lace. The three combine elegantly to form a pear silhouette inspired by one of the many shapes rubies take. 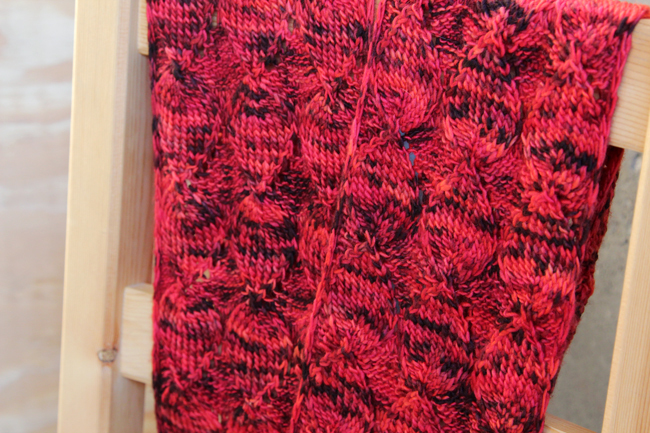 Short rows naturally form an elegant scallop across the scarf’s cast on edge, and an additional short row section completes the bind off edge with a trio of points. 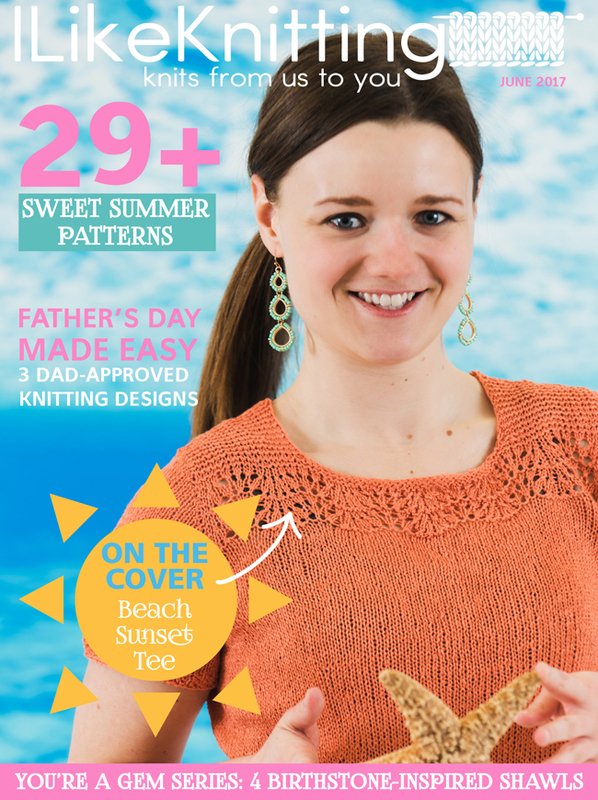 In addition to my design and its corresponding class, the new issue of I Like Knitting features articles, tutorials and over 2 dozen other patterns to try! 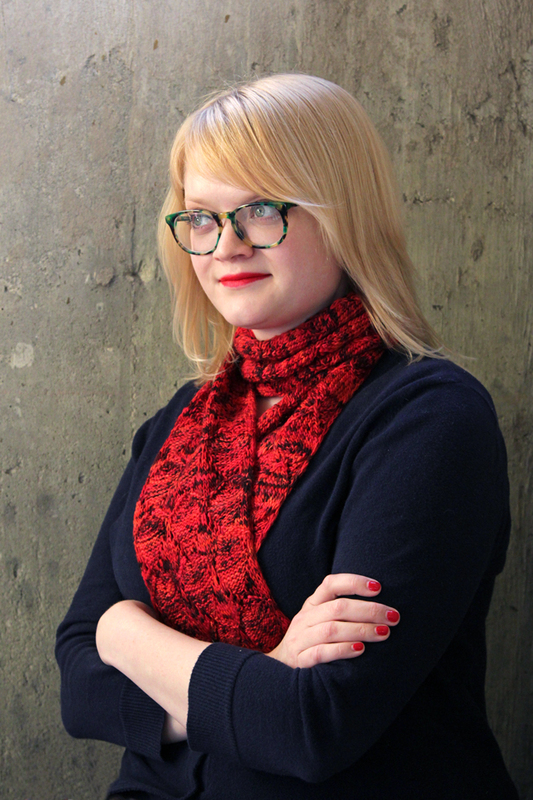 Subscribe to I Like Knitting magazine to get the Ruby Stole pattern, or queue the Ruby Stole on Ravelry. 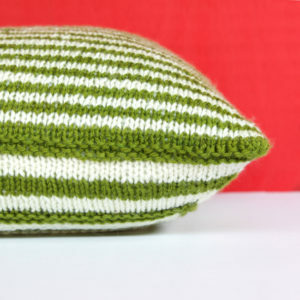 Mod Maze Pillow in the new issue of I Like Knitting! Your site is so refreshing,itsso nice to see a real person and a smile…Very refreshing,needles look very interesting,are you using a specific type of wool,i am a grandmother to 6 Wonderful young people, The youngest are 11 & 15 so you can imagine I am busy,but forever on the lookout for new needles etc, came across these from Germany and they looked interesting,as I said so did your work..Glad to come across your site.